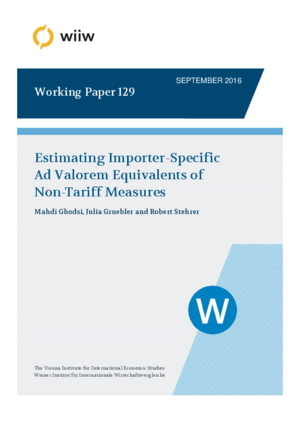 In this paper, we examine the relevance of non-tariff measures (NTMs) at the 6-digit level of the Harmonised System over the period 2002-2011 by estimating ad valorem equivalents. We draw on information of NTMs notified to the WTO from the Integrated Trade Intelligence Portal (I-TIP), distinguishing various NTM types, such as technical barriers to trade and sanitary and phytosanitary measures. To assess whether NTMs facilitate or impede trade across countries we apply a gravity approach, which allows calculating implied ad valorem equivalents of NTMs for about 100 WTO member countries. Evidence of these AVEs is provided differentiated by NTM types, income groups, industries and product categories.